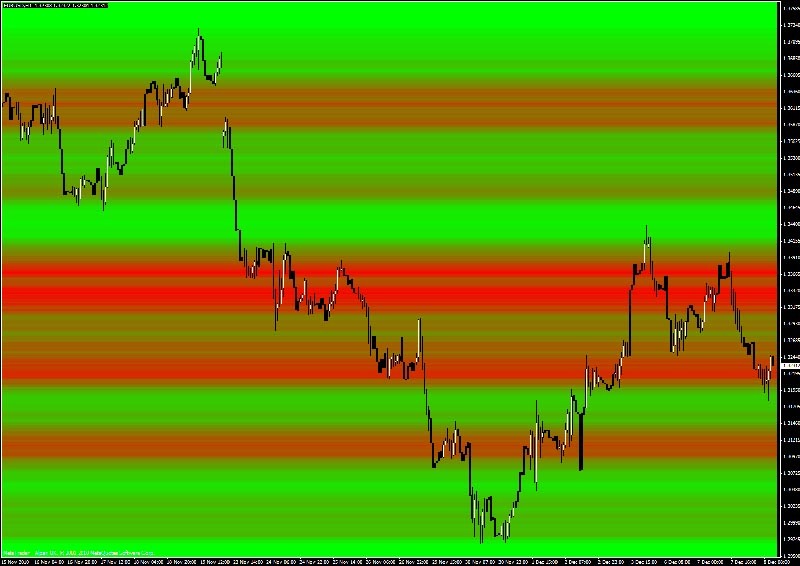 The indicator shows you a “price density map” (heatmap): the redder the more difficult for the price to find or pass those levels. The greener the lesser resistance it’ll find to get through that area. This is invaluable information as price has a memory and now you have a tool to read the price’s mind. You’ll know in advance the areas he’ll find the strongest support and resistance levels and act accordingly. ResistenzaFX will show you the inner nature of price. It does a statistical analysis and based on the time frame you’re using and on the number of bars you want to use for your analysis, it’ll show you the levels where the price has been for a longer time. So it’ll show you the “volume” of that price level. Those are real levels, based on historical data. No more discretionally chosen ones! If you decide to buy the Leo Trader EA from us, this indicator will be yours for free. If you are interested in the ResistenzaFX you can buy them from here. ResistenzaFX Indicator (MT4). 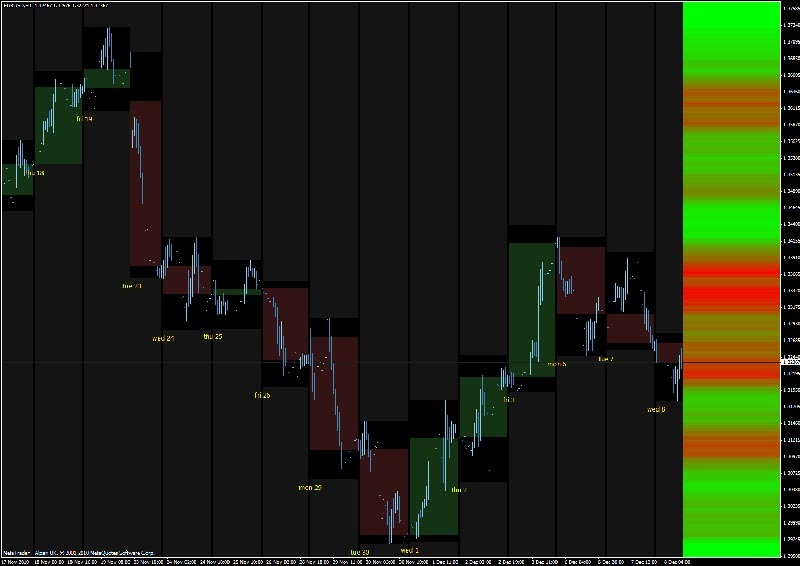 The indicator works on every MT4 platform and can be applied to any timeframe. Your indicator looks very good, is there a way I can still have it seeing that I already bought my licenses for LeoTrader? I would have purchased Leo through you but only saw this page today. Andrea. Will be this indicator be available some other way, than purchasing LeoTrader? I'm also just now found this interesting indicator. But I have LTP long since purchased. I had made him a little embarrassed. Please ResistenzaFX can get something else? Thanks for the reply. I am trying to understand the practical application of such heatmap. It tells you where the price movement is heavy and slow both direction, but it doesn't tell you where are the specific support and resistance levels and in which direction there is more struggle to pass through, right? If it told us the S/R levels and their thickness/strength, we could look for a penetration through these levels and free space to the next resistance point on an uptrend and the next support point on a down-trend. Those S/R penetrations would be excellent entry points with an easy cruise to a predictable/visible distance. Wouldn't that be a more effective indicator than one which doesn't discriminate the direction of price movement? There are very successful trading system because they map and rely on S/R channels. Have you applied this strategy in any of your trading software? 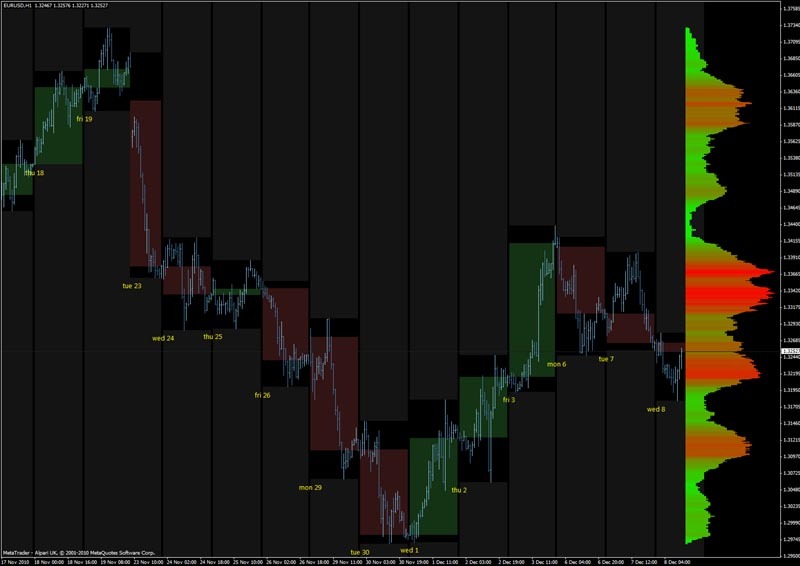 I’m glad someone posted this point about the ReistenzaFX indicator; I have a difficult time understanding how to ‘visually’ interpret S/R with it. Well I usually think of them as a sort of "density" indicator. Let's say that the price has to travel around level… those with the higher density (red picks) will be more difficult to get through and are good S/R levels. When the "density" is low (green valleys) the price will tend to travel faster as it encounters no obstacles. This is a "physical" way to explain how to read the heatmap. You answered Bruce's question, and I have already understood this is a "density" indicator. Could you also answer my questions? They relate to a wider perspective of price movement. Sincerely I don't understand what you don't get. The indicator doesn't show you EXACT to the pip, S/R levels but shows you more S/R areas where the price will encounter more difficulties in its path. It doesn't give you any trend direction. You should treat those areas as any S/R. If the price bounces on them you can expect a retracement. If the price passes through them, you have a breakout. S/R can be traded in many ways. ResistenzaFX helps you knowing where they are. This blog is a very good idea and I'm sure a big time investment. It sure does have some great information to help understand the problems encountered with EA's. Thanks for the great work. are there any recommended setting in terms of history that should be included in the chart or is it something that we need to play around with? Hi! I am interested ONLY in your indicator. I do not care about Leo Trader or other MT4 robots because my platform is not MT4. I do use the MT4 for charting and for this reason I would like to buy your indicator which I find brilliant. Please let me know how can this be made. Thank you. Hi Andrea, is there any other different way to get this ResistenzaFX indicator than buying LeoTrader? we’ll release a new updated version that will be available here. is it possible now to buy Resistenza FX without LEO trader ? Hi Simon, a standalone version of both ResistenzaFX and Cruscotto will soon be available on this website. Thanks for your interest.